Gollum face in hole maker: become a Smeagol in a click! Make a fun photomontage with this online LOTR template and feel yourself like Smeagol from Hobbit or LOTR movies! 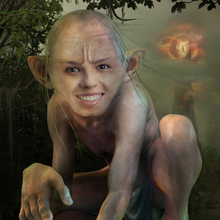 A photo montage with Gollum is a funny way to tease your friend and laugh together. You've always wanted to put your face on another body? Besides, Gollum from Lord of the rings is your favourite character. Then try our face in hole photo effects to see how easy it is to become a part of LOTR legend. 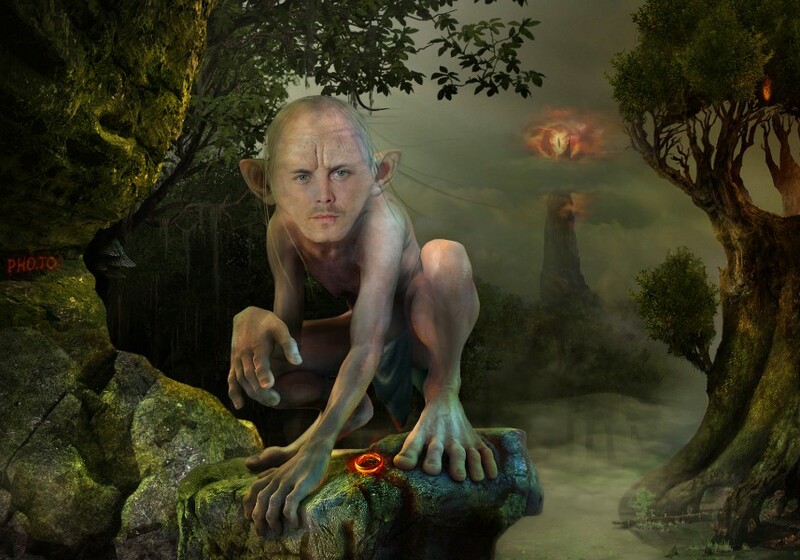 Make a face in hole photo montage with Gollum or make fun of your friend sending him his face put instead of Smeagol face using this online LOTR photo template. You can even add a custom text to a picture! This face in hole maker takes you to a Tolkien’s story, to a cave where Gollum lives. If you are a fan of LOTR or Smeagol character, you will adore this morph photo effect! You can create a custom Gollum meme or even a real Gollum poster printing a resulting picture! Make fun with our great collection of face photo montages at Funny.Pho.to.